List of Zimpler casino sites along with honest reviews of these online casinos that accept Zimpler as one of the payment methods. 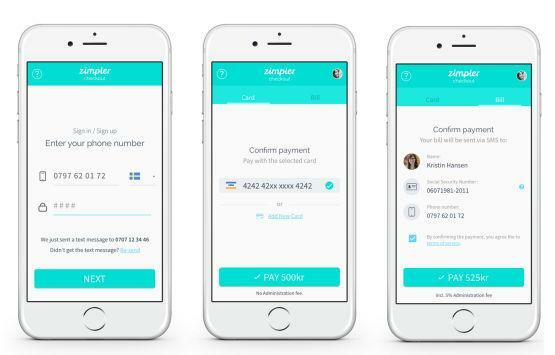 Based in Sweden, Zimpler is a payment provider that was established in 2016 . Although this payment option has only been available since 2016, its predecessor “PugglePay”, which was launched by entrepreneurs Johan Friis and Kristofer Ekman Sinclai, was operational from 2012. After few years, the entrepreneurs took the decision to rebrand the company and transform it into Zimpler, as it's known today. The company is licensed in the UK, and under the supervision of the Financial Conduct Authority (FCA). The first thing you need to do when you’re using Zimpler is to enter your phone number. Once you’ve done that, a text message will be sent to you with your verification number. A Zimpler account will then be created for you automatically, which makes it swift and secure to pay - regardless of which website you’re using. Next, you will be required to select your preferred payment method. This will depend on the online casino site you’ve chosen, as well as the country you’re playing from. You'll have two options: bill and card. When choosing to pay by bill, Zimpler will send you a bill directly via e-mail or text message on mobile. You'll then have 14 days to pay the fee, which will be dependent on the amount that you choose to deposit. The Bill option can easily be paid from your account. When you select the pay by card option, you must then select your card details that you've saved on your Zimpler account. Once you’ve completed your payment, your new Zimpler account will then be activated. So, next time you pay, no matter which website you use, you’ll be able to sign in directly. Every time you opt to make a payment, you’ll be sent a completely new verification code. When it comes down to actually withdrawing your winnings, you might have to select another payment option in order to be able to receive your funds. If anything goes wrong, the company‘s customer support team can be reached in two ways; by email and by phone. Each time you complete a transaction, Zimpler will charge you a small amount. Your bill will be sent to you via email or mobile. Once the bill is sent to you, you’ll then be given 14 days to make the payment. If you don’t pay it within 14 days, there’s a fixed fee of €6, and an additional 8% of the amount you owe. When using Zimpler, there is absolutely no need to download any sort of mobile application. Y ou can simply access it through the browser you’re using . By using Zimpler, you can limit your online gambling by setting up your own limit. Setting up your gaming budget is easy - all you need to do is send an email to support@zimpler.com, specify your budget and the rest will be done by the company’s service team. The biggest disadvantage is that Zimpler cannot be used for withdrawals. Also, it can only be used in a few countries in Europe, namely Sweden, Finland, Germany and the United Kingdom. Zimpler also do not have a mobile app, unlike some other payment methods. Zimpler is now accepted at some of the biggest online and mobile casino establishments across Europe, such as Mr. Green and Energy Casino. A complete list of casinos using Zimpler can be found through the filter on our website. Alderney 5 Isle of Man 1 Malta 284 Gibraltar 66 Jersey 0 Kahnawake 10 Panama 0 Curaçao 166 Unknown 0 Belize 0 Costa Rica 0 United Kingdom 260 Austria 0 Canada 0 Antigua and Barbuda 0 Belgium 0 Bosnia and Herzegovina 0 British Virgin Islands 0 Bulgaria 0 Cambodia 0 Comoros 0 Cyprus 0 Czech Republic 0 Denmark 4 Estonia 0 Georgia 0 Ghana 0 Greece 0 Hungary 0 Ireland 0 Italy 0 Kenya 0 Latvia 0 Lithuania 0 Mexico 0 Netherlands Antiles 3 Nigeria 0 Paraguay 0 Peru 0 Philippines 0 Portugal 0 Romania 0 Serbia 0 Slovakia 0 Spain 0 Sweden 97 Aland Islands 0 Schleswig Holstein 0 British Columbia 0 Cagayan Economic Zone 0 Delaware 0 Nevada 0 New Jersey 0 Ontario 0 How we rate Licensing Jurisdictions?